All eyes are on you when step up to the podium to deliver a genealogy talk. The audience is expecting to be taught and instructed. Can you deliver what they want and need? Attendees have set aside time and money to hear you speak about a subject that can help them further their quest in their family’s history. Here are some points to help them feel their time is not wasted. Peggy Clemens Lauritzen, AG, FOGS, has an amazing ability to bring laughter into the lives of her audience members. One of her favorite photos is a picture of her mother on her way to a church picnic, then on to an afternoon of cemetery transcribing. It was taken just four days before Peggy was born! Having grown up with parents that were deeply involved in genealogy takes her love of family history to a new level. Some people are amazed that she knew people that were actually born in the 1800’s; her own grandparents. Listening to the stories from bygone years, touching the fabrics from quilts, dresses, blessing gowns, and bonnets all have added to the admiration of previous generations. Peggy is a frequent lecturer at many local societies in Ohio, as well as Family History seminars. She has presented at Brigham Young University, and ICAPGen, and taught Continuing Education classes at several community colleges and The Ohio State University. One of her proudest moments was achieving the credentials that qualified her to be an Accredited Genealogist, a credential she has maintained for twenty-two years, for it polished her research skills. 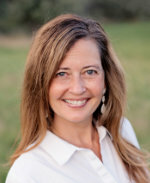 She is a featured columnist in Reminisce magazine, has written several Legacy QuickGuides, and has filmed as an instructor for Ancestry Academy. In 2018, she was honored to be awarded Fellow of the Ohio Genealogical Society, and received the Laura G. Prescott Award for Exemplary Service to Professional Genealogy. She is a full time genealogist at Ancestry ProGenealogists. Tristan L. Tolman, AG®, is a professional genealogist, author, editor, and publisher. She has a bachelor's degree in Family History and Genealogy from Brigham Young University and received her accreditation in genealogy research in the U.S. Mid-Atlantic States through the International Commission for the Accreditation of Professional Genealogists (ICAPGen). Tristan has been actively involved in the genealogical field for over twenty years. She has served on the ICAPGen Board as the first vice chair and on the Nominations Committee of the Association of Professional Genealogists. 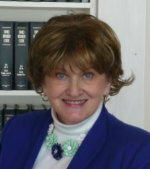 She is currently on the Board of Directors of the Utah Genealogical Association. 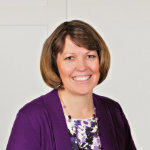 She has written curriculum for the Family History degree programs at BYU-Idaho and BYU-Provo and was co-editor of Becoming an Excellent Genealogist: Essays on Professional Research Skills (2012). Tristan loves working with clients and enjoys being on the research team of the award-winning television series, Relative Race. She is a member in good standing of ICAPGen, the National Genealogical Society, the Utah Genealogical Association, and the Association of Professional Genealogists. 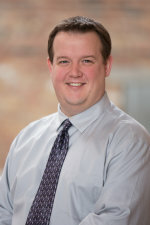 Tristan specializes in U.S. genealogical research, writing personal and family histories, and preparing genealogical information for publication. She and her husband Blair are the parents of five children. Paul K. Graham, AG, CG, CGL, is a Senior Genealogist at AncestryProGenealogists, where he conducts research for clients and for the television show Who Do You Think You Are?. He specializes in genealogical problem solving across the English-speaking world. Paul is BCG-certified and an ICAPGen Accredited Genealogist professional, and he holds a master’s degree in public history and a professional certificate in geographic information systems. Starting in January, he will begin coordinating the Advanced Genealogical Methods course at the Salt Lake Institute of Genealogy. Paul has authored or co-authored numerous books and articles, including Georgia Courthouse Disasters and Georgia Land Lottery Research. His publications have earned him the National Genealogical Society (NGS) Award for Excellence and the American Society of Genealogists (ASG) Scholar Award, and he is a winner of the NGS Family History Writing Contest. Paul grew up in North Carolina and Georgia and currently resides in Logan, Utah. The syllabus will be available to attendees and UGA Members the day of the presentation. The webinar will open with a discussion of how earning a credential benefits the professional genealogist, along with a brief overview of the education and experience a successful candidate for Accreditation will possess. Then the webinar will focus on improving your research and report writing skills, such as research planning and logs, creating a research reference guide, and writing professional client reports. 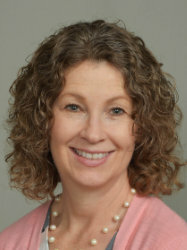 Julie Stoddard, AG® is accredited in the United States Mid-South region and she has been researching for over 15 years. She received a BA in Family History-Genealogy from BYU and is currently pursuing a master's degree in Genealogy from the University of Strathclyde, with a thesis on autosomal DNA. Julie serves on the Presentations Committee for the International Commission for the Accreditation of Professional Genealogists (ICAPGen).